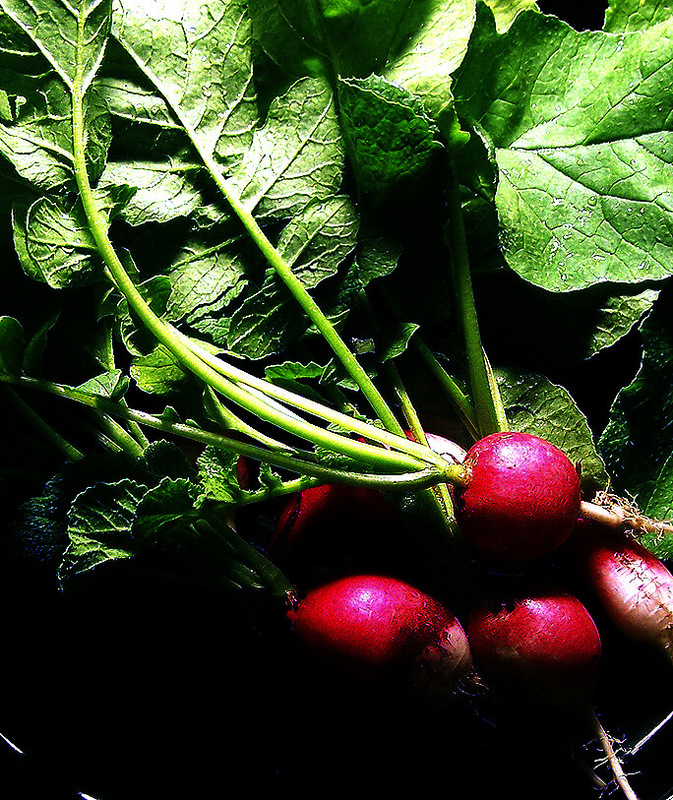 All market vegetables suffer abuse, but none more than a radish. It’s a wonder they’re eaten at all, given the quality of supermarket offerings, particularly those two-tone golf balls in perforated plastic bags next to the carrots, celery and collards. Some as yet unsung minimum wage produce genius might even put in a row of radicchios as a political statement; myself, I would use young Irish potatoes massed for a pebbly purple accent next to the Romaine. Four and three weekends ago a friend planted red-top radishes in the tub beds, and they’re flourishing in this cool, bright November light. Thinning gives nice spicy seedlings, froth for any savory dish. By the turn of the year I’ll have pretty little radishes you can throw into a slow roast or a pot of beans for a little kick. They’re also pretty. Let me know if you want some so I can show you how to pick it.